There are some accent places of home which needs to be fully dressed up for fascinating and cozy looks of home. Furniture with well performance and style can is a great requirement of these accent places. If you are low in budget but still want to upgrade you home gardens and patio then make the pallets a part of your living. 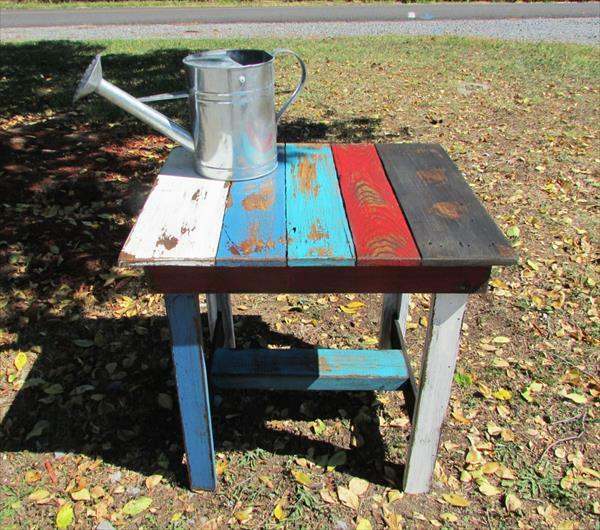 This DIY pallet patio table is also an incredible outcome of pallet wood upcycling. Colorful and distressed appearance connects it to traditional life style so it will cope up remarkably to those of vintage, cottage styled and shabby chic interiors. 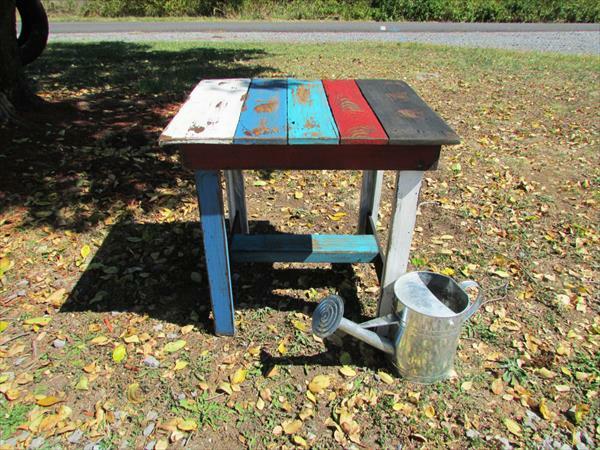 The design is much eyeful and can also be a DIY pallet end table for outdoor and indoor sofas. 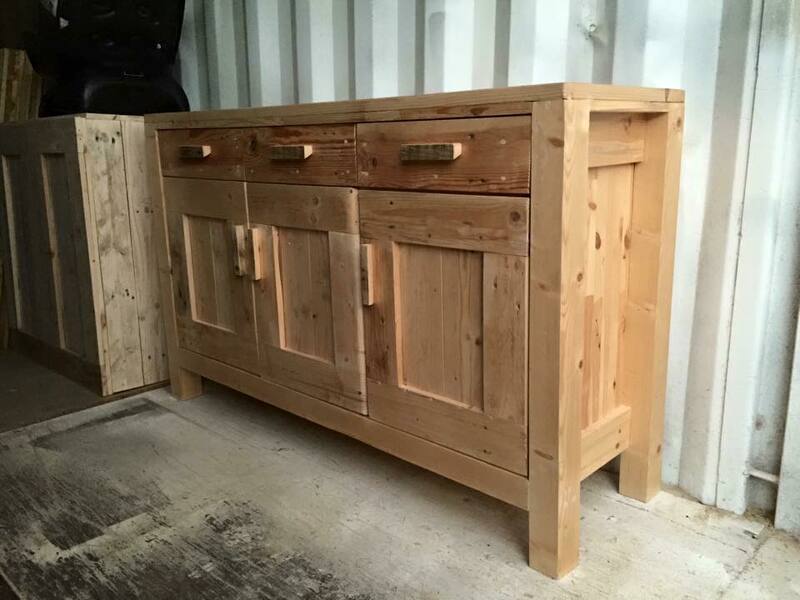 Along with sturdy types of furniture pallet wood can also be used for home renovation, improvement and remodeling projects that add great warmth to both interior and exterior places of home.